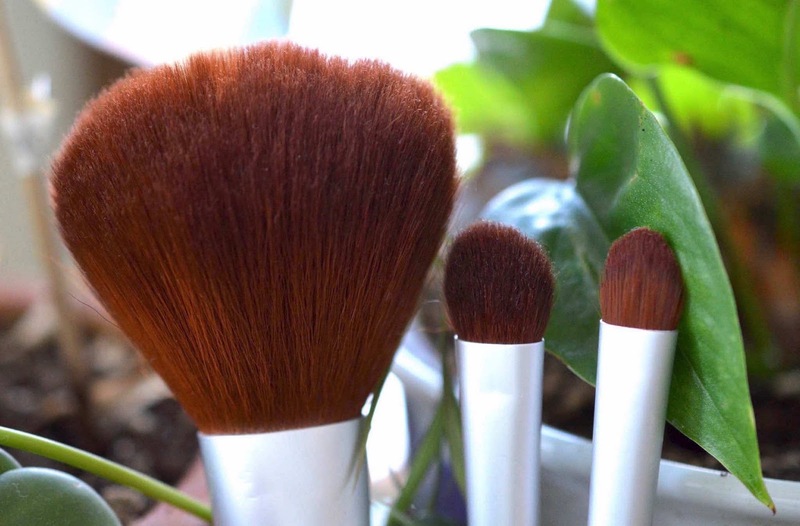 These synthetic brushes wash well and keep their shape, better than any competitor - low, or high end. 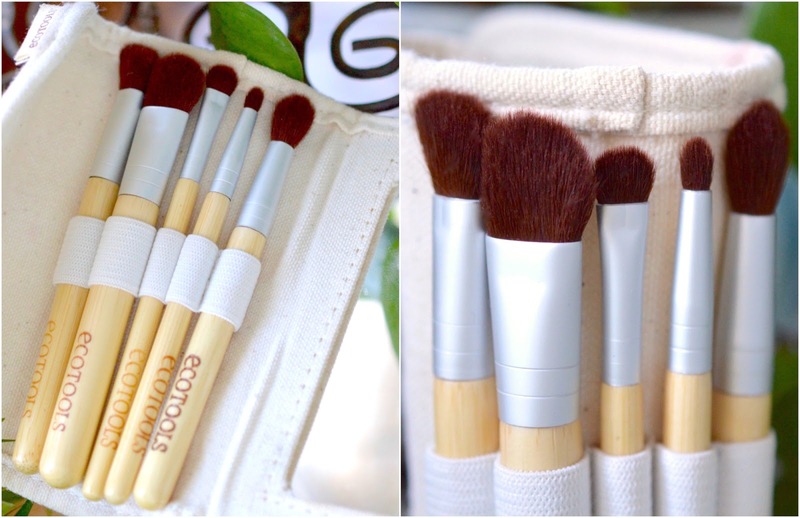 With price tags around $10 - $15, the velvety soft bristles and lightweight bamboo handle of EcoTools brushes will surely keep you hooked. I really enjoy the Large Powder Brush for applying a light dusting of powder all over my face. It can be a bit too big sometimes, since I do prefer targeted application for most powders. Where eyes are concerned, the Full Shadow Brush is in my daily rotation. It is incredibly soft, and covers my entire lid, but still allows for precise crease work when I use the pointed tip. The slanted eye liner or brow brush (included here) is another favourite. I've used it so much, that the bristles are starting to become misshapen! Another long-time favourite is the Domed Bronzer Brush which I used to layer on my Laura Mercier mineral powder. It's a bit of a pain to wash, but I'm obsessed with how the super fine bristles create the most silky and dense brush that makes buffing on powder a dream. It's awesome how they include reusable packaging for each brush. After expressing my sadness over my original Blush Brush casualty, Farleyco reached out and offered to send over a replacement. Talk about next level customer service! I tried out the Stippling Brush and the new Blush Brush, both of which I love. 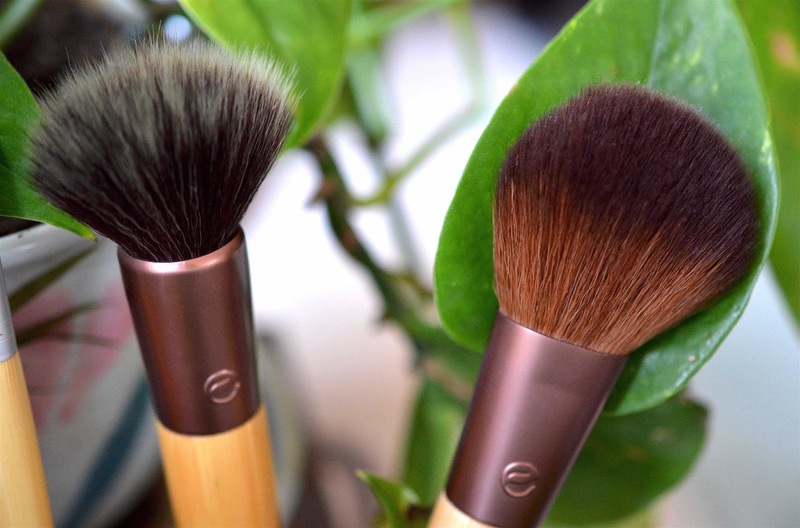 The white bristles of the Stippling brush are slightly rougher than what I'm used to from EcoTools, but it has proven to be a fantastic tool that I use to diffuse bronzer onto my entire face. That bit of texture that the duo-fibre bristles provide is really effective - I'm impressed. The Blush Brush is silkier than anything else I've tried. It applies face powder incredibly, since the bristles float over contours and corners effortlessly. It's quite different than the original Blush Brush, since that one was a lot more dense and had a more defined, pointed tip. I can't say that I prefer one over the other, but I'm happy to report that these new brushes (with the bronze ferrule) are just as good as the original line, if not better. And finally, my travel eye brushes. The "Six-Piece Bamboo Essential Eye Set" was such a great investment, and I've gotten a ton of use out of it over the years. The linen case has a little mirror, and it easily washes by hand if it gets dirty. Each of the brushes is extremely soft, and they apply shadows beautifully. I would have added a more precise angled brush (for brows or liner) since it's somewhat lacking in variation for my daily looks. A spoolie would also be great for brushing through lashes and brows. 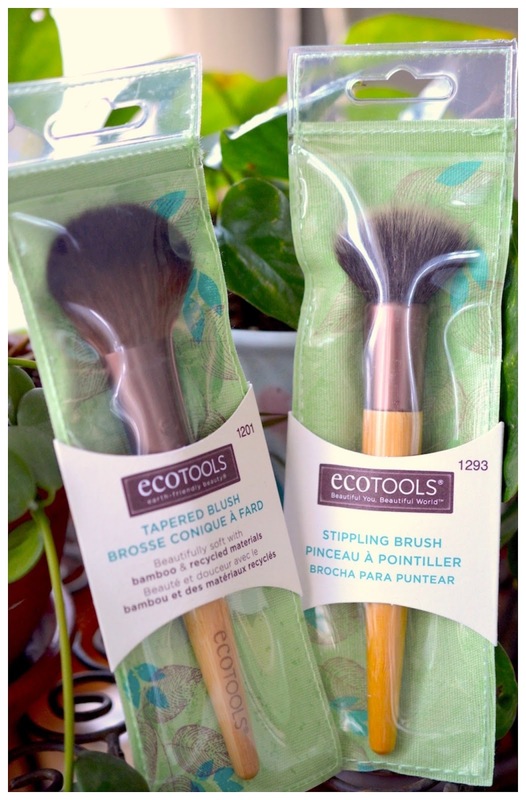 EcoTools was the first upscale brand that I invested in when I began to search for "the best" additions to my makeup routine back in my teens. I stand by their eco-conscious values which revolve around sustainability, recycling, and natural alternatives while still providing affordable prices. If you haven't experienced their products already, EcoTools can be found at Walmart, Rexall, Pharma Plus, Lawtons Drugs, Sobeys, Zehrs, or online at Farleyco.ca. 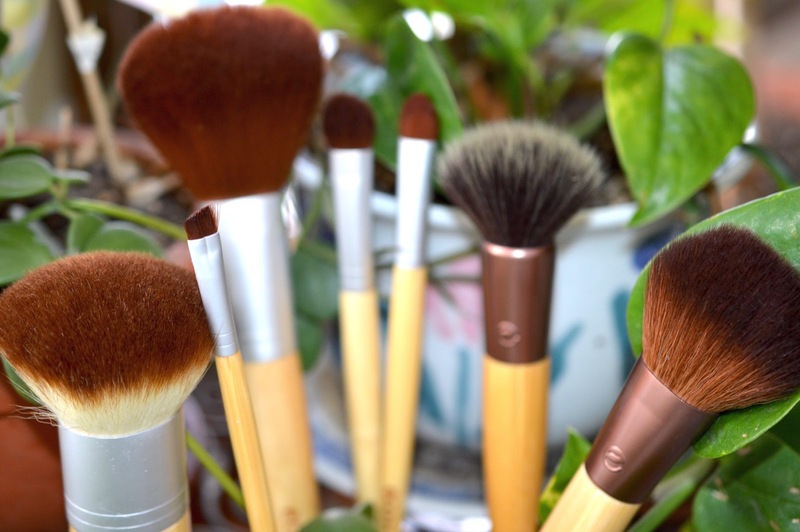 It's a good collection of ecotools makeup brush. 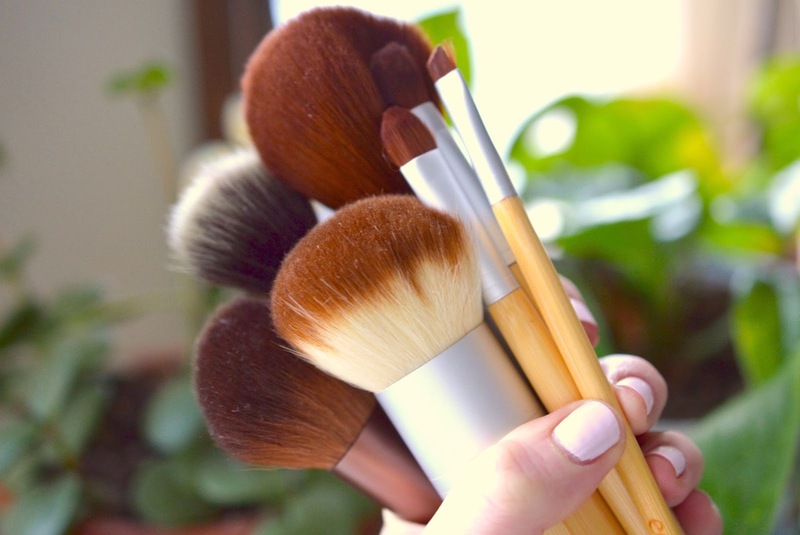 I believe makeup is an important part of women's life and a perfect makeup brush gives a great finishing. That's why I love to use perfect makeup brushes like makeup brush for my makeups & my Liquid Matte Lipstick for my lip.